If you enjoyed Clear, the app we posted yesterday, you'll like this app too. It has a similar user interface (although it's a totally different kind of app). 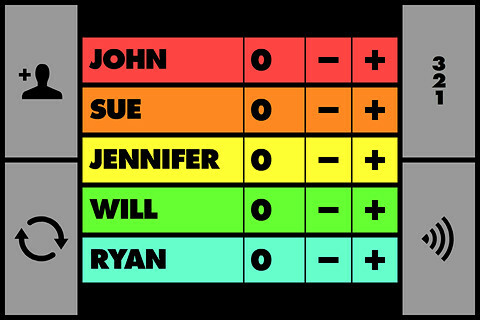 Like it's name suggests, Scorekeeper XL lets you keep score when playing board games or party games with your friends. You know, when playing offline games (like a board game) with your real friends, in the real world (remember those?). What Scorekeeper does is let you easily setup a list of players and then keep track of the score for each one of them. The functionality it offers is very straightforward, but no doubt the highlight of this app is its user interface. Everything you click in the app causes some kind of cool animation and sound effect. 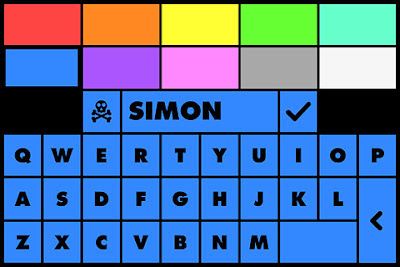 The buttons are very plain and simple (very similar to Clear's interface) but the movement and interaction is fluid and fun. Just looking at the screenshots of Scorekeeper XL doesn't do it justice, the uniqueness and fun comes from the interaction with the app, not from the graphics. Scorekeeper XL is free for a limited time and is a universal app that you can use on both your iPad and iPhone.